How to be interviewed: Seth Godin’s shows how. I must say: anyone who is being interviewed should memorize this and practice what is here: Seth’s Blog: How to be interviewed. So simple, and yet, it is violated all the time. My friend Solange is a fine photographer, and she is selling her photographs here: Solange Noir Photography. But there is a lot of good work there, all at very good prices. I highly recommend you go there and buy something. Let’s face it: that wall you have in your living room is crying out for some good artwork. Here’s your solution. That way you can see what the book looks like before you buy it. Smart! And given that she has sold out a number of her books, it’s very smart indeed. Obviously you need to have great content, and she does. Once you have that, capitalize on existing tools to take care of all the boring essential part of making it easy for people to buy what you made. Not to watch films, but to be in attendance for a screening of a film that he wrote the music for. It’s an interesting view of the Glamorous Life, because even though he is very well known, he writes about his Cannes experience like someone who is not. I always enjoy reading his blog, and this entry in particular is very good. Where to find my presentation on social media to nonprofit organizations as part of IBM’s Centennial? It can be found here. I used to talk alot about Web 2.0 and social media, but I am out of practice. Hence I say “so” too much and talk too much with my hands! (Plus, this is the first time ever seeing myself present: very handy to have that). I als sound more like a Cape Bretoner than I thought, but I think that is a good thing. It was fun to do this, and the people in the audience were great. Hats off to all the IBM staff involved: they did alot of work on this and it came across well. To find out more about the IBM Centennial event, which I am proud to have played a small part in, you can go here. Recently the NYTimes.com said that a “Steady Decline in Major Crime Baffles Experts”. Andrew Sullivan also thinks that “there is a real conundrum here”. If you look through his blog for the posts titled, Crime Falls Further, you will see people offer many good theories for why this is. 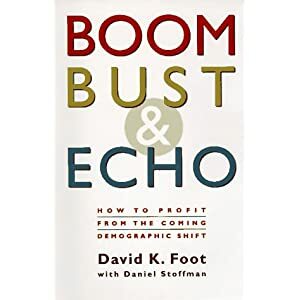 My belief, ever since I read this book, Boom, Bust & Echo: How to Profit from the Coming Demographic Shift by David K. Foot with Daniel Stoffman, is that it has to do with demographics. 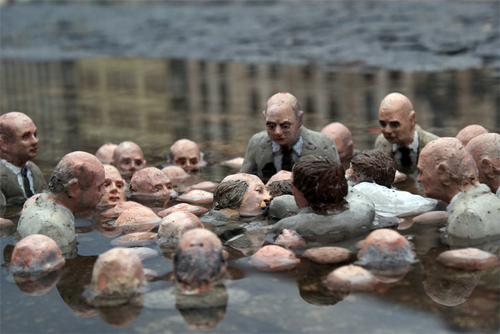 Crime, revolutions, riots, even wars: these are all byproducts of countries have an excess of young men. When your national demographics shape up like that, you will have trouble. 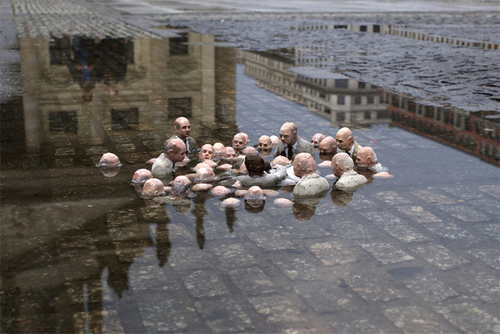 Likewise, as your nation gets older, you will have less of that. I think there are other causes of these serious societal problems, but it needs that fuel, and the demographic analysis explains it. Older men equals less crime. Even if you disagree with this idea, I highly recommend this book. It’s well written, easy to read, and very thought provoking, I recall.